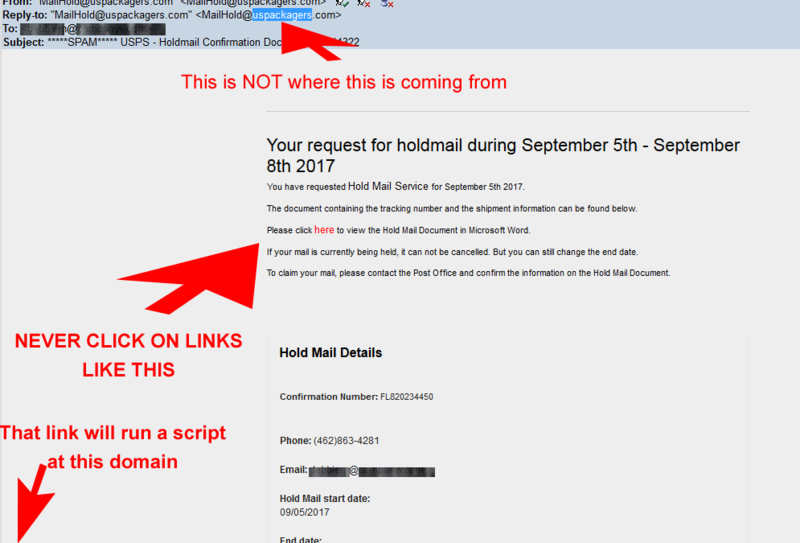 Holdmail Confirmation Doc emails like this one are dangerous! This email contains an embedded link which means all you see in the email is a “Please click here” but the link is to a script or a tracker or who knows what! In this instance it is to a PHP script on firelinktechnology.net – which could mean that site got hacked with an infection or that that site is intentionally hosting malware. Whatever the case you do not want to go there! The simple act of unknowingly clicking links in emails can lead to ransomware, identity theft, hacking of your contacts, installation or keyloggers (which will get all of the passwords you type) or infections that will launch at some date in the future. This particular email involves a comcast connection, a domain hosted by 1and1 and a mail server on amazonaws. ALL of those providers are difficult to get a sane response from because they are not staffed to deal with customer support much less abuse reports. Until internet users realize the serious costs of cheap services this kind of issue will continue. At CompanyV.com we cannot begin to compete price-wise to the services of the big hosting companies.